Dr Pradeep Chadha bridges the gap between science and spirituality by offering a profoundly inspired yet simple synopsis of the mind and how and why different approaches work to restore emotional calm and balance. 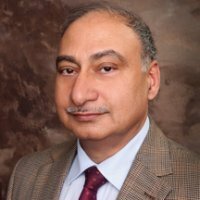 Drugless Psychiatrist, Dr Pradeep Chadha, or as he prefers to be called Integrative Psychiatrist and Stress Reduction Consultant has had an amazing journey of personal awakening which lead him to understand why drugs need not be the first resort to treat mental and emotional disturbances. He tells his story, as an aspiring Western psychiatrist of Indian origin, and how initially shocked he was to see such little compassion and insight that drug based Psychiatry had to offer into the origins of mental and emotional disturbance. Disillusioned, he made it his mission to explore, keeping true to his scientific training, what might really be going on with the psyche. The Role of Stress Dr Chadha realised that the body’s stress response was at the core of all mental, emotional and often physical disturbances and our inability in the west to discharge effectively the backlog of emotions that store up in the body. In this inspired approximately 4 hours and 20 minutes of audio, recorded on 20th April 2013 in Central London, Dr Chadha explains in simple, yet highly comprehensive terms, how different approaches work on the psyche to disperse blocked emotions and inspire a new body-mind equilibrium. Blending together his scientific knowledge, experience with hypnosis and eastern meditative approaches he provides answers for some deeply searching questions as to what is really going on in the minds and bodies of people with stress and anxiety, trauma, anger and grief. And he explains them all with a comprehensive unified theory which he has tested in his clinical practice over and over again. How to question deeply from an integrative perspective. To understand how we might treat Stress, with either meditation, medication or psychotherapy. To interpret the body’s signals and use them for healing. 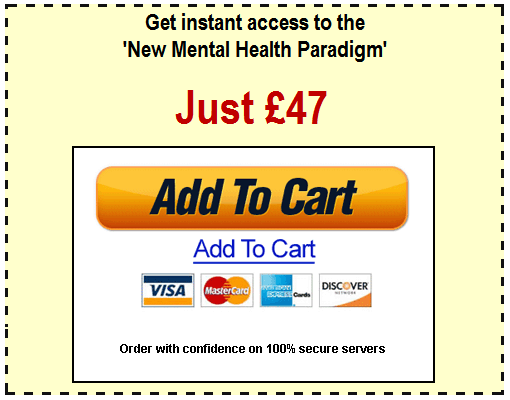 This information is essential to any practising Counsellor, Psychotherapist or Hypnotherapist, inspired Psychiatrist, or mental health care worker who feels they need a cohesive overview of mental and emotional wellbeing. It will help set a context to your client/patient base and give you some clear pointers as to how to work with them and why and when to use a variety of approaches. It is also essential knowledge for anyone who has themselves wrestled with their own mental health issues or witnessed a family member who has suffered – the most transformative part of this whole model of the mind being the understanding that those affected will receive from his wise words. Dr Chadha also makes very clear links between mental and emotional stress and medical conditions. In a world where the mind and the body, for all medical purposes are still treated as separate entities, this is a highly enlightened perspective from a Western trained Psychiatrist. He also explores some of the ancient practices of breath meditation and evidences – what the great mystics knew intuitively – how this simple practice works scientifically in the body which he explains with great clarity. Dr Chadha seamlessly brings together scientific information which is freely available out there, and binds it all together with the mystic and the practical to make pure common sense. It takes an inspired thinker like Dr Pradeep Chadha to join up the factions of disparate scientific endeavour to produce the much needed bigger picture. Not only that, but over the last 16 years, Dr Chadha has innovated with and tested all of his assumptions in real life settings creating a truly powerful approach to many common mental and emotional problems. It is as a result of these years of exploration and experience that he has now built a model of intervention which he calls, Subjective Emotive Brief Therapy. This will be the subject of future courses. Dr Chadha also explains the process of how people can come off prescription drugs in this audio series. He describes clearly that it is perfectly possible for people to reduce their prescription and ultimately to recover from the majority of mental health problems. Whilst careful not to encourage therapists who have no training or experience to guide their clients to come off their prescription meds, he describes the evidence he has accumulated during his years of experience working with his clients that it is entirely possible and that they can recover their mental and emotional balance and wellbeing. This will also be the subject of future courses. It may well be years before his work is internationally acclaimed in the face of standard psychiatric drug ‘solutions’ to mental, emotional and spiritual disturbances. In the meantime, the creative model he has researched and tested could help many thousands of mental health patients and clients around the world. This audio series is the first step to raising that consciousness. Get yourself informed and broaden your knowledge. For just £47, a fraction of being at the live event, you can benefit from his compelling and profound insights into the human condition and spread the word to your colleagues. More importantly, with more insight, you can help more people who are so in need of some acceptance and explanation of their mental and emotional traumas. Included in the audio are 2 brief meditation exercises to practice yourselves and to introduce to your clients. These wise and enlightened audio hours are available for you to purchase and listen to right now. All you have to do is click the button below and follow the instructions. You will be taken to a page where you can choose to either listen to the audios online, or download them onto your computer. We are not precious about who listens to this audio. Buy it and share it. We want to raise consciousness and add as much value as possible to your purchase, while also raising some funds to continue this pioneering work enabling more and more people to become well and to come off their prescription drugs. If you are inspired by Dr Chadha, and would like to learn more about his approach, please feel free to contact him on drpkchadha@gmail.com. We will keep you informed of future courses that Dr Chadha will be delivering so that you too can be part of the movement to humanise psychiatry and place therapy and spirituality into the heart of our solutions for promoting emotional wellbeing. I have to say I am blown away by Dr Chadha’s insights and understanding. This has really brought everything together for me. So many things I have been pondering over for some time have come together for me since listening to this lecture. It all suddenly makes sense and falls into plcae. Dr Chadha is so clear, rational,learned and lucid. so it represents excellent value at £47. I look forward to attending Dr Chadha’s next event. Brilliant Stuff!